Lent is a time of year when Christian people begin their journey toward Easter. During this time, we reflect on our lives and repent for the ways in which we failed to fully live out the call of our Baptism. The word “lent” means “springtime.” It comes from the same root as “lengthen,” since at least in our northern hemisphere, the days begin to lengthen during the time in which we celebrate lent. In the natural world the long nights are giving way to longer days. The death of winter is turning toward the life of spring. In a similar way, Christians are turning from the darkness of sinful lives to the brightness of new life in Christ. On Thursday, March 7, we will mark the beginning of Lent with a school Mass, in our gym, at 9:30 a.m.. Our Lenten Mass will be led by our Grade 4 classes: Mme. Cummings, Ms. Giambrone, Ms. Innamorato and Ms. Pellegrino-Raso. Parents are welcome to attend. 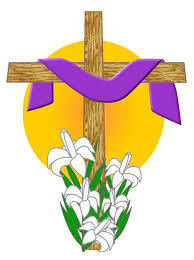 Our FDK classes will celebrate Lent, with a liturgy in their class.